You may add records to the DBF file from a text file in either TXT or CSV format, or from another DBF file (in case the names of the fields coincide in both DBFs), from Excel (XLS,XLSX). 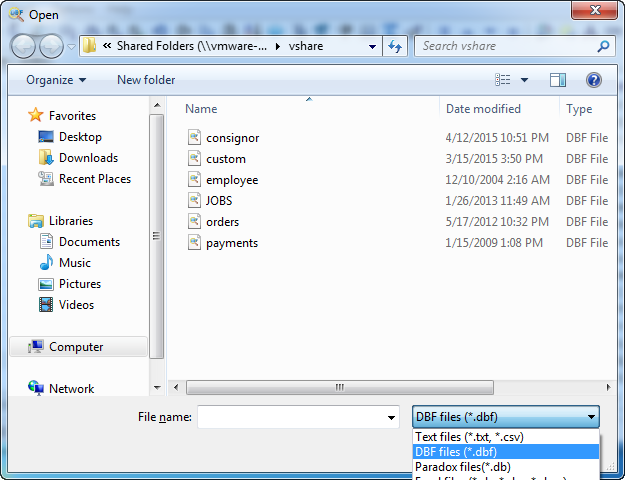 To append a text file, click File | Append menu. Append from dialog box opens. Select the Field delimiter: Comma, Tab, or specify another delimiter. Optionally check options boxes. If you choose ZAP before append records, all records from your original file will be removed. Otherwise the records from the text file will be added after the last existing record.